Astrology and Bank account opening tips, how to open bank a/c for prosperity, when to open bank a/c to be a millionaire as per astrology, Totkay For Bank Account Opening Auspicious day and time to open bank a/c as per astrology, How to increase savings through astrology?. So you want to be a millionaire, no problems it's a great thing that you have a aim to be a millionaire. But keep in mind that every thought of a person doesn't come in to reality until a hard action plan is done. So if you really want to be the richest person, if you really want to be the independent person, if you don't want to think about your expenses then be sure to work hard and make efforts in every direction smartly. In every business or work bank account is necessary. Whether you are an employee or entrepreneur whether you are a businessmen or a non working person bank account generally every one have. Bank account is very important for every one because we keep our savings on it, it is also important because every transaction is done through bank account. But did you ever think about how to manage your bank account as per astrology. I know what you are thinking that again a new topic i am arising to increase craze but no my intention is not increase visitors of my blog but i just want to put a topic which will reveal a truth before you regarding managing bank account as per astrology. I don't think that we think about the use of astrology in opening bank account. But let me clear you that if you are thinking about buying gold in pushya nakshatra then why you don't think about opening bank account in auspicious day and time. Don't you want that your bank account will show you a good balance every time you open it. Don't you want to be a person having full financial power to fulfil any wish. Once a question is asked with a person about definition of success and the person replied-"I don't want to see the price tag of things which i like and i want to be at that level. That is real success for me". What a aim, what a confidence. Yes this is possible if you are committed with your self that 'yes' I will achieve at the culmination of success. I will be a millionaire. But it is not very easy. If the planets are supporting then no doubt you will easily achieve the aim of your life but what happen if the planets are not in favor of you. There is no need to worry if your planets are not supporting to you. Astrology will help you to achieve your aim. Astrology will show you the way to become millionaire. Astrology will guide you how to make your self financially strong. Here in this article i am revealing the mystery of how and when to open bank account so that it will support you to make good savings and to increase your business. Don't make hurry while opening bank account. You are going to attach yourself for life long with the bank so don't underestimate this question and give some time to choose the right bank which will support you as per astrology. Check the Match as per the astrology. Take your raashi or zodiac sign now check the bank name and check the zodiac sign. 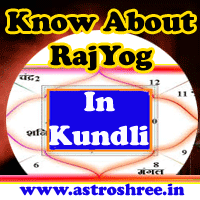 If it is supporting to your zodiac sign then no doubt you will get benefit in long run. This bank will be helpful to you in increasing your personal and professional life. Now the next question is when to open bank account. For this i want to say that Just show your horoscope to any experienced astrologer and know about your good days. And on those days if sarwarthsiddhi yoga is falling or any other auspicious muhurth is falling then try to open your account on those days. If you are having problem in above point then just try to open your account on Monday, Wednesday and Friday. While doing the processes of opening the bank account try to chant the mantra or spell of goddess laxmi or God Kuber. Think positively at the time of opening bank account. Just think that soon you will fill your bank account with good savings. Think that this bank account will make your prosperous soon. Always try to deposit amount on Monday, Wednesday and Friday and on auspicious time. While doing any transactions just chant the mantra or spell of mahalaxmi or kuber. It will help you to open the way of success. One very important thing if you are using your online banking then it is good to open your account daily once and chant the mantra of mahalaxmi or kuber and think that soon your account will be filled with huge amount. If you use offline banking then once in a week try to check your account with good mood. Don't chew tobacco or smoke at the time of doing process of bank account opening. Try to keep yourself happy while doing any banking activities whether it is offline or online. While doing payment through bank just be happy and give with happy and good mood. It will help to increase prosperity. It is also good to be happy when accepting any payment through bank. Don't use any type of abusive words with any one at the time of doing bank account opening activities. If you want stable prosperity then be calm and keep remembering the mantra of mahalaxmi or kuber. If you are not believing on this concept then you are missing something in life. You don't have to pay anything while adopting these processes but the only thing which you need is full trust on these ways and astrology. I have guided many ones to open bank account as per astrology and all they are thriving well. Believe me and use this occult science ways to make yourself prosperous.